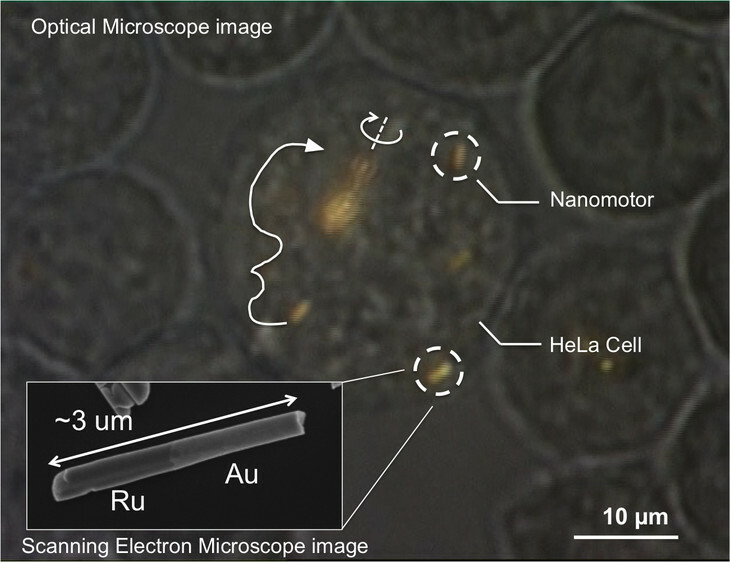 While they won’t be in use for a while, the scientists at Penn State University and Medical Physics in Maryland have made the first strides in developing microscopic nanomotors, or tiny motorized pellets, which can be injected into human cells. These tiny motors are so tiny that about 33 will fit end-to-end on the width of a hair. At this size, the functioning motors will be able to successfully work to destroy cancer cells, or help with drug administration. They have developed a way to use ultrasonic waves instead of the original toxic fuel for power, so the studies have continued with living cells. By using magnetic fields, the nanomotors can be steered around inside the cells. Research with different motors has found that there are methods to independently control different nanomotors.